SERIIUS' Sustainable Photovoltaics (PV) research thrust focuses on three coupled activities. They are designed to 1) significantly accelerate the development of disruptive PV technologies in India and the United States, and 2) provide a foundation on which a future Indian PV industry can build. Earth-Abundant Photovoltaics and Advanced Processing: PV based on Earth-abundant, available materials with performance potential comparable to or exceeding existing thin-film systems. Advanced Process/Manufacturing Technology: Novel process technologies that can produce cells and modules with low production and capital cost, low thermal budget, and environmental sustainability, e.g., non-vacuum deposition processes. Multiscale Modeling and Reliability: Characterizing materials and devices in real-world environments that can feed predictive models to iteratively improve and predict materials and device reliability. Our primary objective is to develop new scalable absorbers based on Earth-abundant materials and green processes. We believe that Earth-abundant materials will be critical to wide-scale deployment in India and to achieve costs approaching the U.S. Department of Energy (DOE) SunShot Initiative goal. Enabling large-scale production of cost-efficient PV for India and the U.S. will necessitate developing new or improved Earth-abundant PV absorber materials and associated processes. The primary research challenge is to develop Earth-abundant materials in thin-film architectures capable of sufficient efficiency and stability for ultimate deployment. The basic materials science needed to accomplish this goal is strongly coupled to the second activity area, which is developing new process technology that leads to cost-effective roll-to-roll processing. We plan to develop basic materials and devices that ultimately are amenable to solution-based, low-cost, low-temperature deposition. We will focus on the interfacial science of junction formation, contacts, and light management for these new materials systems and device architectures. We aim to develop the materials science of these absorbers so that they will be compatible with roll-to-roll processing—a significant departure from the current and historic developmental approach for PV. The table summarizes the research projects and their tasks in the three consortium projects (PV-1, PV-2, PV-3) in this activity. Our overall objective is to develop ink-based processes for PV materials and devices. We will focus on new flexible substrates and printing techniques. 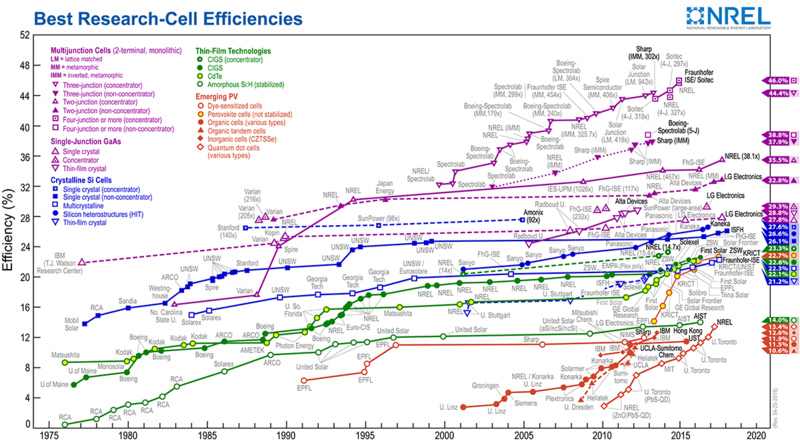 The challenge is to develop new low-cost, high-throughput process technologies suited to Earth-abundant PV materials. It is a substantial effort to translate the materials development in the first activity above to a scalable process technology. Our projects focus on developing: 1) new ink-based precursors formulated for high-throughput deposition, 2) advanced printing techniques for rapid materials deposition in roll-to-roll manufacturing, and 3) new flexible glass substrates to enable higher-temperature processing. The table summarizes the research projects and their tasks in the four core projects (PVCore-1, PVCore-2, PVCore-3, and PVCore-4) in this activity. Our long-term objective is to couple materials to module modeling with real-world reliability testing—thus providing direct feedback to the materials and process development tasks. Understanding and predicting lifetime and performance of new technologies is also critical to the bankability of technologies. A key challenge for PV deployment is to develop a predictive science basis for a particular absorber technology to allow us to predict reliability based on measured reliability data. This can involve coupling predictive models from the defect structure of the basic materials to failure models for cells, modules, and systems. For existing systems—and especially for new systems—we need to develop methodologies that will provide confidence on the longevity of PV products. We will address this complex goal with three projects that should attract considerable industrial interest. We will combine multiscale modeling expertise with work in PV module testing and reliability to develop and validate tools for predicting and enhancing lifetime in new PV systems. We will focus on the science aspects, but draw on the extensive capabilities and accessible data from SERIIUS partners on reliability testing. The table summarizes the research projects and their tasks in the three consortium projects (PV-5, PV-6, PV-7) in this activity.